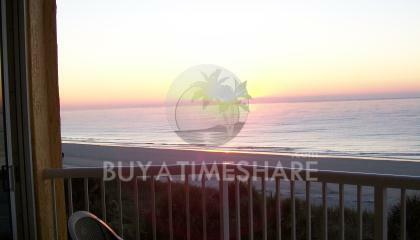 If you are looking for the best provider of timeshares on the resale market, consider choosing Buyatimeshare.com. We have an extensive inventory of some of the best timeshares available, all for sale by owner. Getting the most for your money, for the best price, will make your next vacation memorable and affordable. 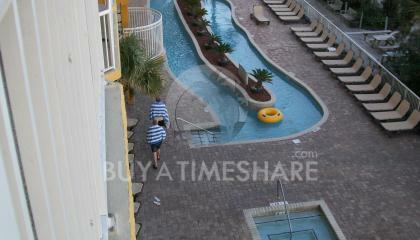 Are you looking to Buy a Bluegreen Timeshare at a popular location in South Carolina? You may want to Buy Bluegreen Resort's Shore Crest Vacation Villas II. Located on South Ocean Boulevard in North Myrtle Beach, this luxurious resort is nestled against a lush marshy area, opposite the Atlantic Ocean. This resort offers the true tranquility and southern charm that North Myrtle Beach has to offer. Reminiscent of the Carolina low country, Shore Crest Vacation Villa II offers a cape-cod feel, highlighted with pristine gardens and southern landscapes. 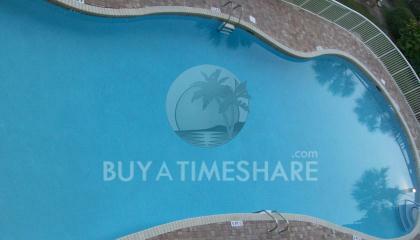 Let us help you select just the right timeshare when you are ready to Buy a Bluegreen Timeshare. 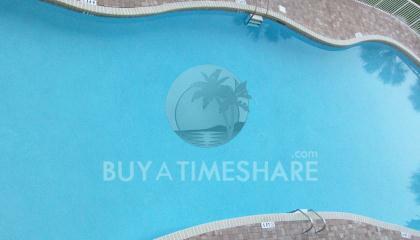 We offer some of the best Bluegreen timeshare deals available on the market. If you Buy Bluegreen Resort's Shore Crest Vacation Villas II, you won't be disappointed with the endless amenities that abound throughout the resort. Starting with the grounds, there is a lazy river that you can enjoy, giving you the feeling of a laid-back country atmosphere. If you are looking for something with a little more luxury, look no further than this resort. Indulge into the heated pool where you can enjoy the same water temperature day or night and relax tired muscles. Enjoy your cocktails as you unwind in the hot tub, while taking in the pristine views and quiet atmosphere. Utilize the boardwalk to access the beach and do some beachcombing or sunbathing. A not-to-miss attraction is the weekly fireworks show that runs all summer long. The best place to view this eye-popping spectacle is right from one of the resort’s many balconies. One of the best Bluegreen Timeshare deals is a custom package at Shore Crest Vacation Villa II. Rest assured, each room offers comfort and luxury at every whim. Choose from one or two bedroom floor plans that offer full bathrooms, kitchen, a living area and private balcony or patio. Each timeshare gives you easy access to our game room, laundry service, grills, bike trails and fitness room, based on your specific needs. Staying at a Shorecrest Vacation Villas II, means you are close to all that is going on in North Myrtle Beach, South Carolina. The Villas are close to the marina, boat launch and public fishing piers. You will have access to several different fishing charters that line the Atlantic coastline. There are also Jet Ski and wave runner rentals nearby. For nightlife, you are a short walk away from great live entertainment, night clubs, restaurants and boat casinos. Stay active with championship golf courses, basketball, and racquetball and nearby tennis courts. North Myrtle Beach is also in close proximity to several historical sites and National monuments that you can add to your vacation itinerary. 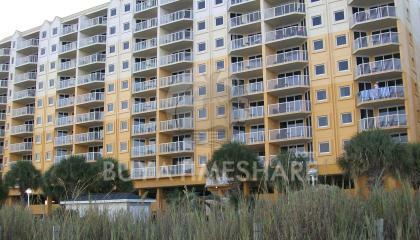 Bluegreen timeshare resales offer you the opportunity to easily access activities in and around the Myrtle Beach area. The Mansfield Plantation is currently now a hunting club and bed and breakfast that offers private, guided tours of its 900 acres and grounds. One of the largest rice producers in the colonial times, see what life was like on this working farm. Check out the Fort Sumter National Monument, in nearby Charleston Harbor, where the civil war began. Walk the grounds where the confederate Army first fired their artillery on the federal fort. As we aim to sell Bluegreen Timeshares, we also strive to give you exactly what you are looking for with a timeshare resale. We work with the Bluegreen Shorecrest Vacation Villas II, to make sure your floor plan fits your exact vacation needs. Bluegreen timeshare resales are an essential part of our overall business goals. Selling you the right property based on your vacation needs, means making sure you leave happy and satisfied. Because we sell Bluegreen timeshares, we can work out sales agreements that fit any budget. If you are looking for a timeshare resale company, let us take out the anxiety of searching endlessly for just the right timeshare condo or resort. While we offer for sale by owner timeshare packages, we can negotiate any needs or issues that you have, should they arise. If you have special accommodations and need your availability dates changed, we can handle that for you. Take the worry out of your next vacation and enjoy your timeshare through Bluegreen Timeshares. Relax, knowing you are getting the most for your money in one of the nation’s top vacation destinations. 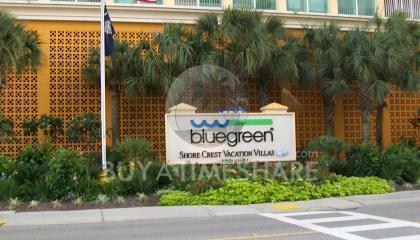 Contact Bluegreen Resort's Shore Crest Vacation Villas II Specialist Today! This beautiful Resort,s is located on the Beach near by bare foot landing and has lazy river, indoor, outdoor, swimming pool, free parking, garage, some daily activity just open the gate and enjoy the Beach also a great place for outlet mall, restaurants, sea food, entertainment and much more .